Women’s footwear has probably seen the finest collections and trends in the last decade as manufacturers are implementing dazzling ideas to serve modern woman’s shoe needs. The largest selling shoe patterns are either with a heel or without a heel. The common problem women face often is to repair heels as they get worn out soon. As online stores raised the curtains of e-shopping, purchasing new arrivals have become a habit of every lady. We offer the latest and finest technology to repair women’s shoes with utmost care. Women shoe repair is an awesome service rendered here in which the torn, impaired, and cracked footwear can be renewed and repaired. Every woman has multiple pairs of shoes and boots today and it’s necessary to get them serviced and repaired often to increase its life. We offer women shoe repair services for all kind of woman footwear but not limited to pointed heels, cut heels, pumps, stilettos, wedge heels, high ankle heels, cone heels, etc. When the customer orders to repair heels, we strive for excellence of flawless service that accompanies eminent methods of pairing the impaired. Let the pattern be ankle boots, knee high boots, shoes having high heels and riding boots, we offer our service at its finest. Women boots repair services are hard to find and hire. However we offer the best in town services for women’s boots and shoes. Women use expensive and trendy footwear’s today both for official and causal use. It is hard to find two matching pairs of footwear as almost every pair is unique in its own methods. Knowing the importance of footwear, we repair women’s shoes with utmost care. Your expensive footwear’s are treated with special care. We repair heels with the latest shoe care technology methods and equipment. Your shoes remain safe in our hands and we assure you get them as almost brand new. Cobblers are fully equipped with their toolkits and advanced equipment to repair women’s shoes with complete professionalism. 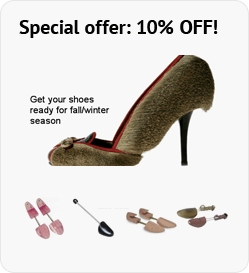 Services are offered with extreme care for women who care a lot for their footwear’s. There are many aspects to keep a women customers happy and here is the best service that is brought forth to catch the woman customers shoe repair requirements. When shoes are being polished every day, there will be no worry on keeping them new always. A little more care is taken to keep shoes to its finest quality and condition. The rarest combination of classic and contemporary ways of mending the shoes is still here. Women and men, want to enjoy service worth of the money they pay for. Here is the undaunted way of women boots repair that keeps the old pairs as almost brand new ones and the new pairs in safe hands. Available the best of shoe repair service from our shoe hospital. The finest women shoe repair services help women to maintain their shoes good and last longer period of time. Opting for reliable women’s shoe repair service in NYC is important for the health and durability of your shoes. Regular maintenance, even when there is no apparent defect can help in keeping the expensive footwear looking as good as new for a very long time. And sometimes, many of the issues related to fit can also be eliminated with regular repair and maintenance offered by the right hands. Accessories are the prized possessions of every individual and getting them repaired from experts should be your top priority. We understand this concern and that is why, we provide our customers a wide range of repair services comprising shoe repair, heels repair, shoe shine, stretch shoes and boots, belt adjustment and fixing, leather jacket repair, bag repair, men shoe repair, women shoe repair, luggage repair, dye leather and cut heels. My versachi boots were in wered out conditions, when I came to the store I was given very good price and now I have them back within one day. There were resoled by Alex, who work in the shop. I live in Manhattan and I reached place by R train very convinient. I also saw that they were cleaned up and tops were refreshed. Brand new shoes! Thank you Alex!